Connect with God, the church community, and your purpose in unexpected, life-changing ways. 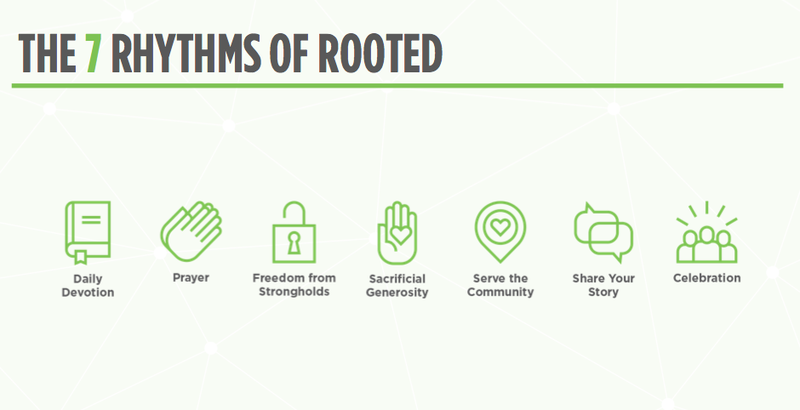 The Rooted experience redefines how we live our lives and view our relationships with God and others, giving context to what it means to be a part of something bigger. You will begin to see God in new ways, allowing you to experience a different way of life: community, authenticity and generosity. Spring Session Registration opens October 1st. Dates for Spring Session are February 10 – April 14. More details coming soon. Rooted is an interactive experience. In the course of 10 weeks, you will get together weekly with your group to talk about what God has been revealing to you as you go through the week’s readings, journal entries, and prayer. You will also learn from one another as the Holy Spirit works to comfort, encourage, and guide each member. Your group will share two experiences together outside of your group time: prayer, and serving. After the last session, you’ll join together with other groups and celebrate how God is working to connect each of you with your passion, your purpose, and your community. QUESTIONS? 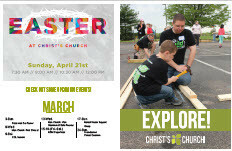 Contact Adam Brucker at adam.brucker@ourchristschurch.com.